Interestingly enough, there doesn’t appear to be any restrictions on the size of a box. But there is a 5 pound limit on the weight. 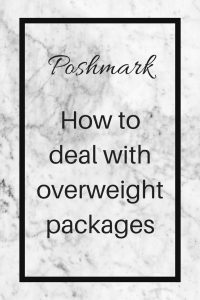 The majority of clothes, shoes and accessories will be under 5 pounds, but you may run into an overweight package issue if you have sold a large bundle. So what do you do with an overweight package? You CAN still ship it, but you can’t use the label that Poshmark automatically sends once the order is processed. Go to “My Sales” in your account tab and then click on the order that you need to upgrade. Scroll down to the bottom and click on “Need New Shipping Label”. You’ll instantly get the upgraded label in your email, just like how the original label shows up. Who pays for the upgraded label? You only pay for the additional cost based on the weight. The $5.95 that the buyer paid still gets applied, so the upgraded label shouldn’t be outrageous. Extra shipping costs will be deducted from your earnings once the package is accepted. So basically, don’t list anything heavy that you can only sell for a few dollars. I have seen more than one case where a Posher thinks they are going to be all clever and ship their order in 2 separate boxes. The problem with that is that individual shipping labels are only good for one physical package. You cannot print the same label twice and put it on 2 different boxes. If you try it, one of the boxes will be returned to you and the buyer will open a case because they did not get their whole order. Then it will be returned back to you and you will be out of a significant sale. Upgrade the label if your package is over 5 pounds and you will be all good. If you are concerned that your package might be too heavy, definitely weigh it before you just drop it off at the post office. A shipping scale will be your best option, but if you don’t have one of those you can use a regular body weight scale. If your body weight scale won’t register light objects, you can totally still use it. Just stand on the scale and weigh yourself. Pay attention to the decimal digits. Then grab your fully boxed package and get back on the scale. Subtract the first number from the second number. If the difference is under 5 pounds, then you’re good. 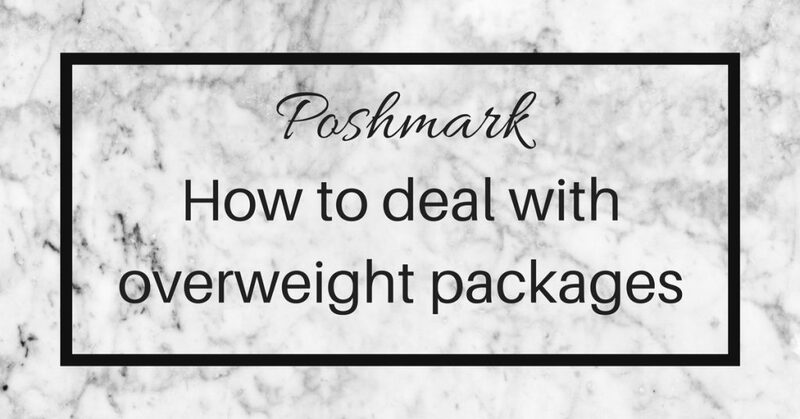 Otherwise, get that upgraded shipping label so your Poshmark package gets to your customer in a timely manner. Have you ever had to use an overweight shipping label? What kind of a sale were you shipping? My bundle is 19 lbs right now. Way too heavy for even upgraded shipping. 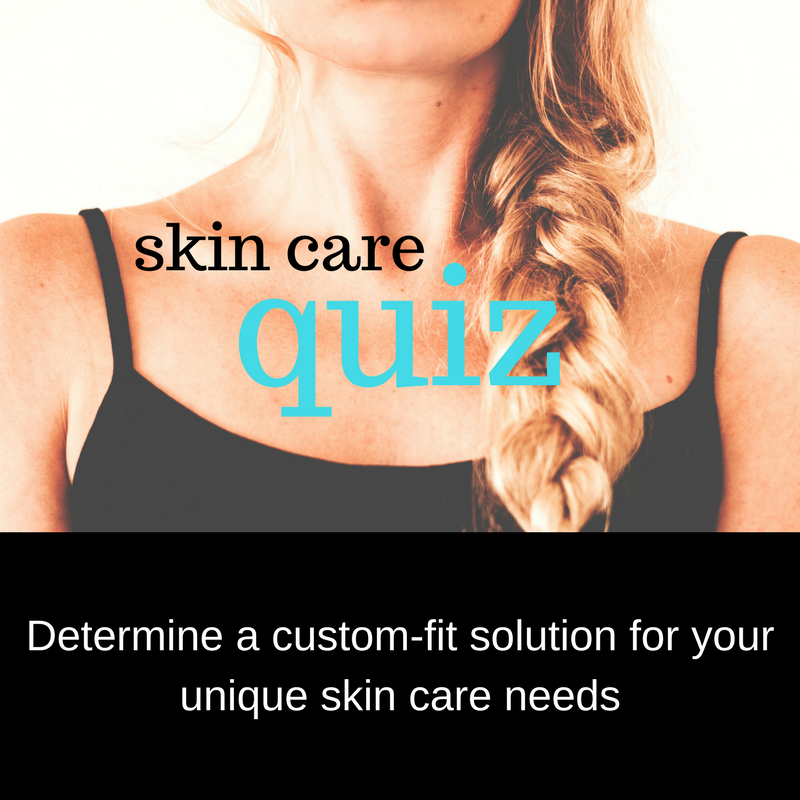 Do you have any advice other than creating separate multiple listings/bundles for that specific buyer? It’s unfair to sellers to limit it to 5 pounds and let buyers add an unlimited number of items to bundles. Why can’t we limit our own bundles? Even if selling pricier items, 10-20 pound shipping is pricey.